I am thrilled to announce that Mrs Boss, the broody hen at The Cottage Smallholder website has successfully hatched at least 3 of the 6 guinea fowl eggs that I sent in the post to them four weeks ago. Once the 6 eggs were gathered I then had to think about packaging them and this became my second challenge. I went to the local post office to buy a box to send them in only to find that they didn’t have one nor parcel wrap. They did kindly give me a box. So I returned home to carefully wrap each egg in a plastic bag, placed in an eggs box then put side the box which was then stuffed with practically every plastic carrier bag I possess – now that’s what I call recycling! Luckily for me I managed to find some old parcel wrap that belonged to my husband’s Grandma which I made fit the box with some nifty cutting. On returning to the local post office I was told that the post office counter was shut and so I had to trek to the local town. Once the parcel was successfully in the post the worrying did not stop. Next I was worried that the eggs would not arrive intact, but they did. Then I worried that Mrs Boss wouldn’t accept the eggs, but she did. 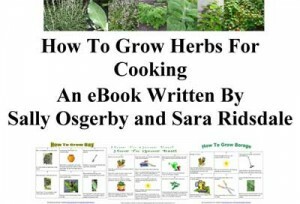 (Click on this link to read about their arrival and acceptance.) The biggest worry of all was whether the eggs were fertile and yes they were. 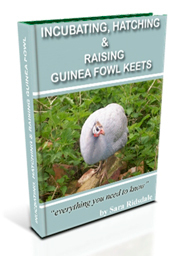 The reason I know, I hear you ask is because this morning when I went to visit The Cottage Smallholder, I read that so far 3 guinea fowl keets have hatched off. I can’t tell you how thrilled I am that Fiona and Mrs Boss are now the proud mums of 3 guinea fowl keets that originate from my farm. 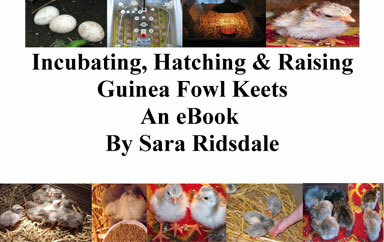 Click on this link to read all about the guinea fowl hatching event. When I find out more information about the keets I will let you know.